too much aubrey: What have we come to? Read this article: Man Robs Bank of $1; I seriously almost cried when I read this. The fact that our healthcare system is so bad that an obviously good man would voluntarily put himself in jail for some medical help just makes me want to hang my head in shame. It's about time we figure this stuff out. 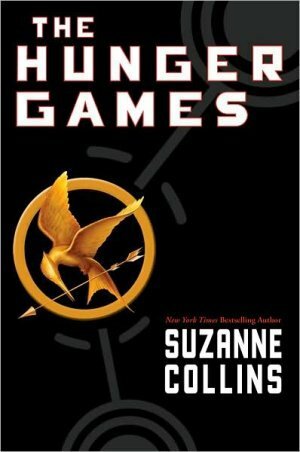 On a more positive note, I started reading The Hunger Games. I hate "jumping on the bandwagon" of trendy things, but let's face it, things are trendy for a reason. Everyone told me how amazing the series was, so I decided to check it out. I'm hooked, halfway through the book, reading at every available moment. Right now I'm forcing myself to put it down and pay some attention to my house, as it has acquired that layer of clutter again that makes me crazy. Honestly, The Hunger Games is sobering me a bit. It's pretty harsh reading about a desolate, starving community that could very well be what we end up with when it all comes crashing down. Husband and I took the boys on a hike yesterday in the mountains. It was a gorgeous day, around 75 degrees, and we climbed as far as we could before it became too dangerous for the boys to go any further. We saw bugs and plants and a stream (nearly overflowing, with the excess of water we have in Utah these days), and even went adventuring in a cave. Unfortunately it was an impromptu trip, so I didn't have my camera with me, but it was completely gorgeous. Suddenly I remembered: exercise feels awesome! How did I forget? So I'm back on the course, and took the boys out for a walk again today. It's so strange how our bodies need the sun and the burning muscles so badly, but we crave the couch and the TV instead. It changed my whole mood and outlook on life when we were up there breathing fresh air... I definitely want to keep my kids in the habit of adventuring and using their bodies productively, so we'll be keeping up the tradition. Even Max loved it, since Steve climbed the whole thing with little Max on his shoulders. This morning I took the boys to the library, thinking we'd run in and grab a few new books, return the old ones, and maybe I could even find a new Anne Tyler or Vampire Academy book to bring home. It turns out it was Rock Day at the library, and there were a ton of kids and parents piling in with empty egg cartons. Of course I couldn't deny them a learning opportunity like that, especially one that comes with egg cartons! So we committed to the presentation, which Max squirmed and wriggled and squealed his way through. At the end the librarian unveiled a whole table full of buckets of rocks - beautiful ones, each a different kind of rock - and announced she would be giving each of the kids 12 different rocks to take home. We didn't even know it was Rock Day, but we came home with 3 amazing rock collections... just in time, too, because recently Asher has become extremely interested in collecting pretty rocks on our walks/hikes. It's turning out to be a pretty great week around here. What are you doing with your summer "vacation"?